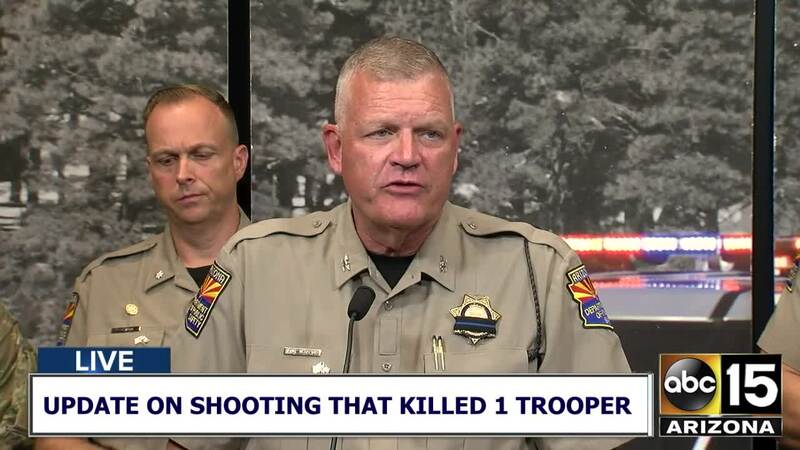 An Arizona Department of Public Safety trooper was shot and killed, and two others were injured Wednesday night in an altercation with a suspect on Interstate 10. 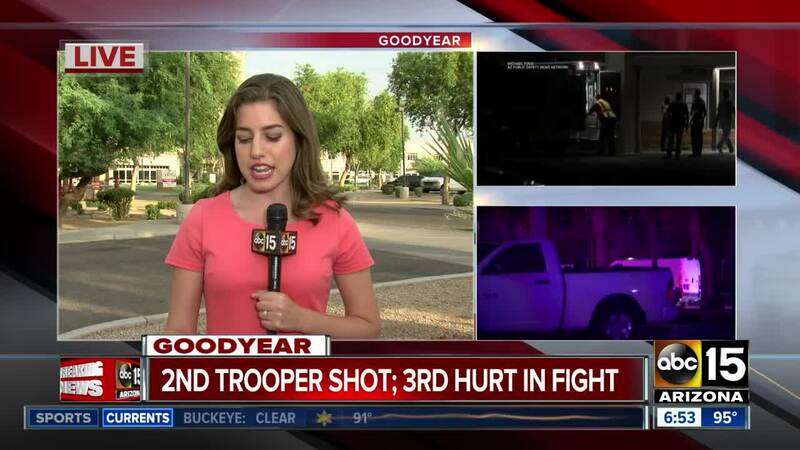 DPS Colonel Frank Milstead initially announced the news at a press conference early Thursday morning outside the Abrazo West Campus hospital in Goodyear. 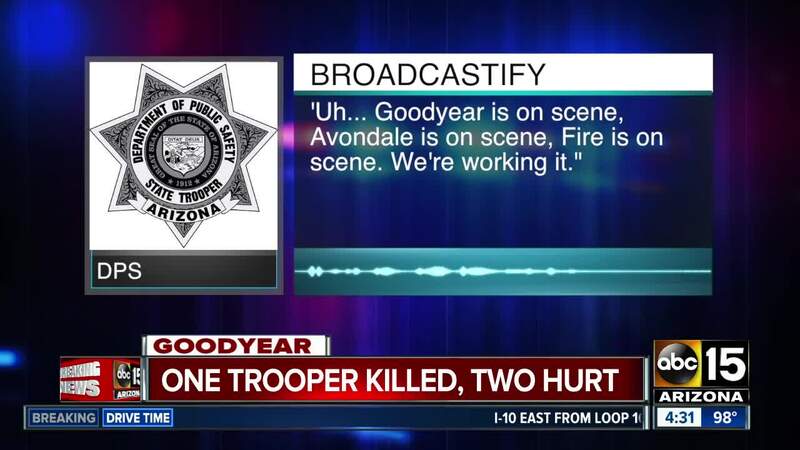 Milstead said around 10:15 p.m. Wednesday, dispatchers received several calls of a man throwing rocks at cars that were heading eastbound on I-10 near Avondale Boulevard. According to Milstead, several drivers pulled over in an attempt to stop the man, later identified as 20-year-old Isaac King. According to authorities, Trooper Dalin Dorris was the first person to arrive at the scene and made contact with King. Troopers Sean Rodecap and Tyler Edenhofer arrived shortly after. Two Goodyear police officers also arrived at the scene to help take the suspect into custody. As the troopers and officers tried to get King out of the roadway, a fight ensued that lasted several minutes. During the struggle, Milstead said King somehow got control of Rodecap's gun and fired two shots from the weapon. One of the shots hit Dorris in the shoulder, wounding him, officials said. Another shot struck Edenhofer and killed him. DPS said Rodecap suffered minor injuries during the fight. "I'm incredibly proud of the men and women who show up to do this job every day. They're brave enough to come out and face the unknown," Col. Milstead said Thursday morning. Milstead says Edenhofer graduated from the DPS Academy in May and was an officer in training. Friends and family of Edenhofer tell ABC15 he was a Navy veteran and was slated to be done with DPS training next week. "The DPS family is in mourning... and (we're) all in a little bit of a state of shock this morning," Milstead said. 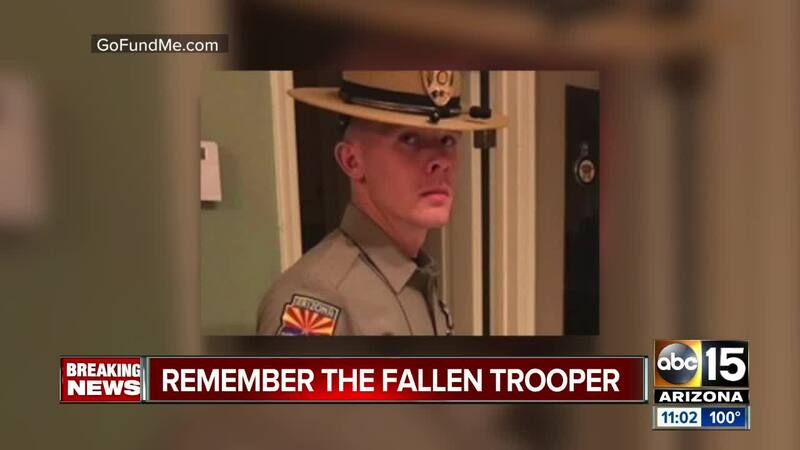 Joe Seabert, a friend of Trooper Edenhofer's, shared the following statement with ABC15. 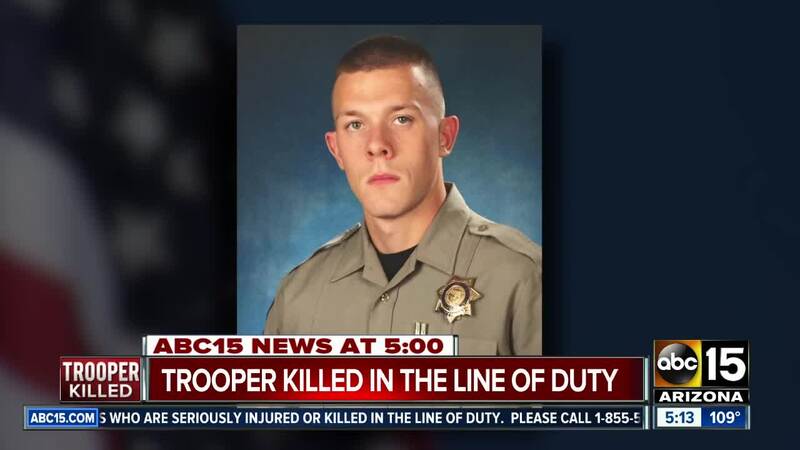 "Tyler is a special person and trooper that will be missed dearly. He had a way of just making you feel better. Everything he did, he had to do the best he could! Tyler loved life and enjoyed every day. Most respectful man I met and proud to serve his country and proud trooper." Both injured officers have since been released from the hospital, officials said. Trooper Doris was hired by the Department in December 2005, and Trooper Rodecap was hired by the Department in May 2008. King was also hospitalized after getting injured in the altercation with troopers, authorities said. Officials have not yet said if he has been released from the hospital. At a Thursday afternoon press conference, Milstead said King had been taking medication for anxiety and depression, and did not have a criminal background. I-10 eastbound was closed between Litchfield Road and Avondale Boulevard for several hours and into the morning commute. Traffic started moving again around 6:30 a.m. 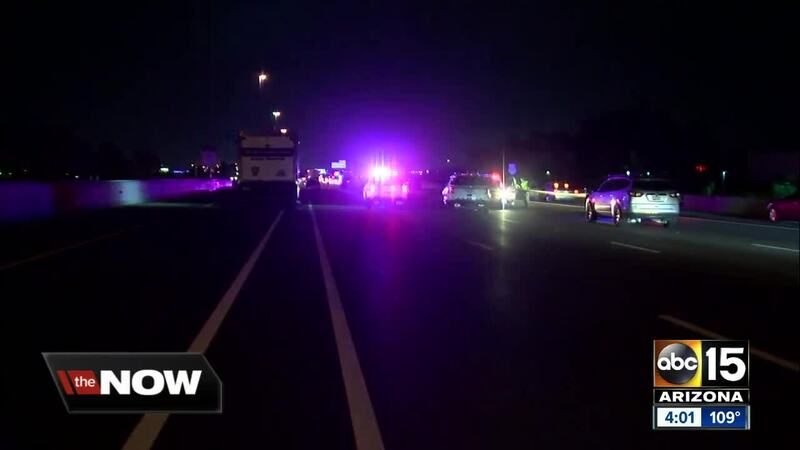 This incident marks the 55th shooting involving law enforcement in the Valley in 2018, and the second on a Valley freeway. Thirty DPS troopers have died in the line of duty. Of the 30 deaths, nine were the result of murder, 17 were traffic-related, two died in a helicopter crash, one died in a helicopter accident, and one was killed in a train explosion. 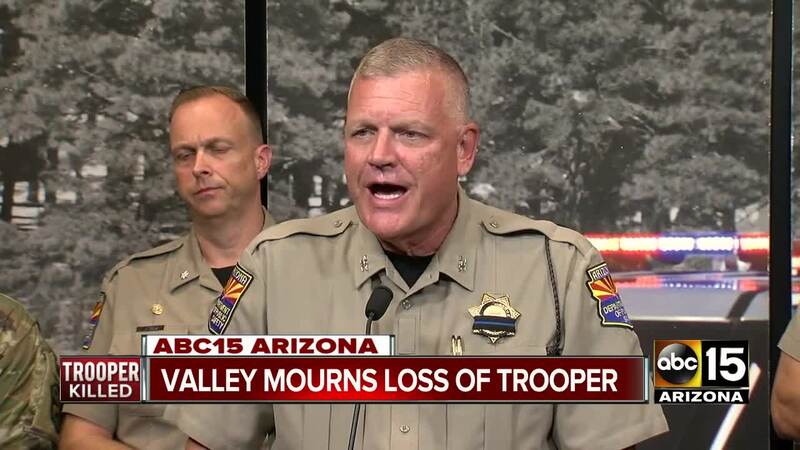 "This tragedy is an all too real and heartbreaking reminder of the harm our heroic law enforcement officers face each and every day for the safety and well-being of Arizonans and for peace in our communities," Gov. Doug Ducey said in a statement. 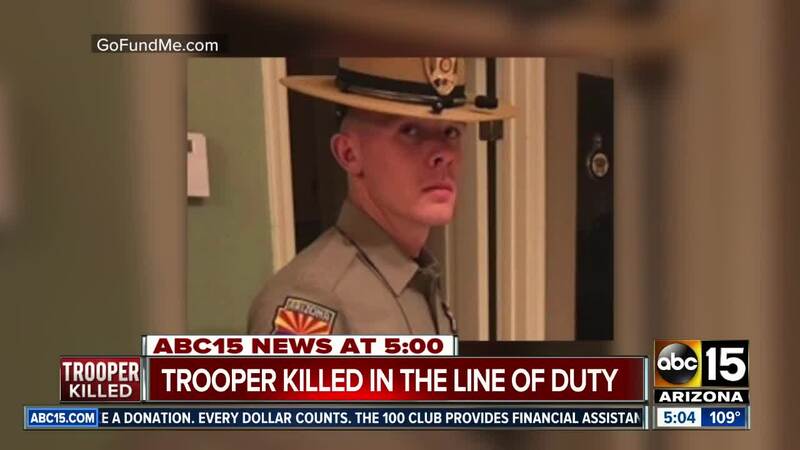 DPS is asking for privacy at this time while they mourn the loss of trooper Edenhofer and investigate the incident.